With so much to see and do in Rome, sometimes a suggestion is much appreciated to help you get started. 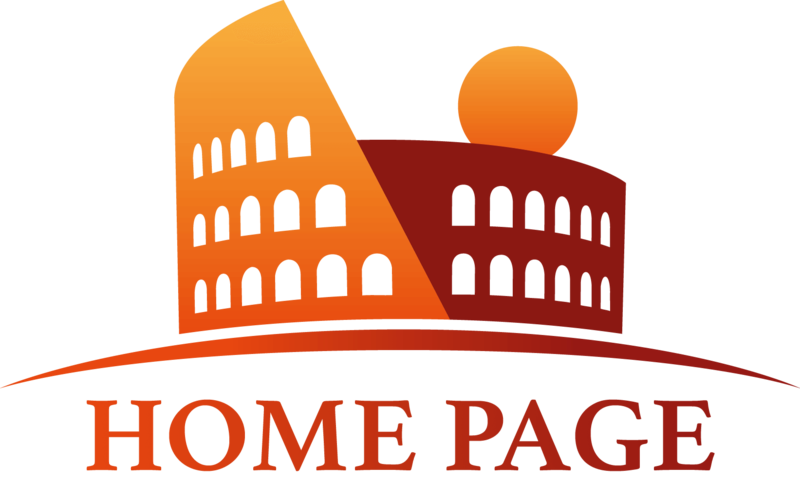 Eyes of Rome Tours has a recommended Friday, Saturday, and Sunday itinerary of sites to see that has left many satisfied customers who have, in turn, recommended our tours to others- maybe even you. All of the tours below are completely customizable based on your interests, needs, and time in Rome. Join us for our city walking tour and admire the highlights of the historic center of Rome. Marvel at the beauty of the Spanish Steps, be stunned by the Pantheon and discover the secrets of Piazza Navona and Bernini's famous Fountain of the 4 Rivers. 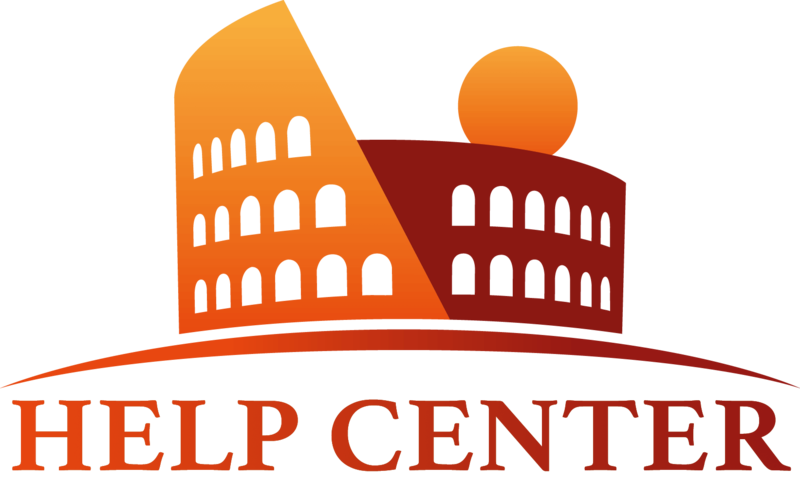 Of course, our expert guide will answer all of your questions, and get you oriented in and informed about the Eternal City, and make your overall experience even better. Get acclimatized to Italy in the best way possible- through delicious Italian cuisine accompanied by great local wine. Test the Roman proverb "In Vino Veritas" (In Wine, Truth) as you enjoy a pleasant walk through the charming areas of Campo de' Fiori, the Jewish Ghetto, and Trastevere. You will visit local "enoteca" (wine bars) to discover various local wines, foods, and to learn about the history of Rome with your local, expert guide. You will sample unique varieties of Italian wine and discover the Norcia art of creating pork delicacies in a family shop that has been a Roman landmark since 1890. Enjoy various cheeses and a variety of "antipasti" (appetizers) paired with wines selected from over 1,000 varieties. The Vatican Museums and its famous Sistine Chapel is something that any visitor to Rome should not miss. Our Early Bird Vatican tour is definitely the best way to see the Vatican Museums- far from the general crowds and before the noon heat. This tour is also recommended for children, a time when they are generally best behaved and have longer attention spans! Your guide will meet you at 7:30 at your hotel and you will be able to enter the Vatican at around 8:00AM (1 hour before general public!). Visit the Sistine Chapel in peace as it was meant to be seen! This is a highlight of any visit to Rome. Visit the great Colosseum- one of the most amazing attractions of the Ancient World, and wander the amphitheater following in the footsteps of the ancient Romans. Enter the Roman Forum, the political center of Ancient Rome and finish the tour on top of the most important of the seven hills of Ancient Rome, the Capitoline, where you can enjoy a wonderful view of the city. My mum came to visit me (I am studying in Rome) and I wanted to show her the sites of Rome. Your Roman weekend tour was great- I felt like I was able to show her everything important to see in Rome in just a couple of days. Thank you Michelle. We are very happy that our article inspired you to book with us. Which one of our weekend tours did you like the most? My guide for all tours was Sara. Best guide in the world!! my mum wanted to adopt her after the first tour. On our city walking tour we didn't realize 3 hours had gone by so quickly! From there it was on to a food and wine tour which we both absolutely loved. The next morning we did the Early Bird Vatican experience and it was absolutely amazing to have the Sistine Chapel nearly to ourselves!! Sara was amazing and answered all of our questions without making us feel like we were wasting her time. Very gracious. We were both excited and little sad to start our last tour with Sara- the Colosseum and Roman Forum. We were so glad to be with her, she really brought the ruins alive with stories of Roman senators, gladiators, and slaves. 5/5! If I had to choose I would say the Early Bird was the best as we felt very privileged. Please thank Sara from me and my mom. Thank you so much for your comments and above all, for the time we spent together! I have been so happy to tour Rome with your mother and you, I enjoyied each single minute! You are such a lovely family and I was so glad to be part of your roman experience. I'm looking forward to meet the rest of your family, I already have a couple of suggestions for you! You told me that your father is interested in Archeology, well next time we could visit the catacombs and St. Clement's Basilica, the amazing site built layer upon layer. Here in Rome we call that incredible place the "lasagna church". I can't wait to take you down there! Please give my regards to your mom! Ciao eyes of rome. This is just a comment I’d like to leave to your website (after my husband has already done a trip advisor review). We want to thank you so much for making our trip in Rome more and more fabulous! We loved Silvia who was a great tour guide who took us around the city center. Without her we wouldn’t have known or paid attention to all the little things you find along the way. A walking tour is highly recommended for those who have never been in this open-air museum. Thanks also to the office for your great job in organizing everything for us, and thanks for your punctuality and for making us smile! hi eyes of rome! i know that the capitoline museums are very interesting. What if I’d like to take the Michelangelo tour and change the end of the tour at the Capitoline square and then add an extra hour for a guided visit of the museums? I went with my older daughter to Rome, and we spent a nice evening with Elisa visiting the iconic places of St. Paul and covering the most important steps of his life. Elisa was fantastic, nice, funny and very knowledgable, and made us enjoy this day even if the weather wasn't the best. Thank you Elisa! We are a group of 7 art historians and we want to make the most of our time in Rome. We want to go in-depth with the life of Bernini. However, from your itinerary there isn’t Navona square where I know, there is one of the best pieces of Bernini. Can we add it on Bernini's tour? Hi guys. At the end I took the Michelangelo tour on its own and the day after Dive into Roman history tour. Thank you Rosalba for giving this option and the eyes of rome team for all your patience with the booking! this tour made my day! Dear Walter thank you for reaching out eyes of rome. Our in the footstep of Bernini tour is designed without a stop in Navona Square because we chose to cover other places but if you want to see the square with your private guide you can ask directly to he/she to take you there. You can also consider to add one extra hour to the tour to have a more relaxing visit and to see more places. I hope I have been helpful with this answer and please send us an email at info@eyesofrome.com for further queries. Dear Nina and Arthur. Thank you for your lovely message, and thank you again for your company! When are you guys coming back to Rome? I want to bring you to many other places! Marta is the best guide! we had her too for the Jewish Getto tour. We also tried the carciofi ala giudea under her recommendation. So good!!! Hey I just wanted to suggest that the Vatican Under the Stars tour could easily be added to the 'Ideal Roman Weekend' list- it certainly seemed ideal for our weekend. My husband and I only had 3 nights in Rome, and on our first night (a Friday) we booked this tour. It was truly a magical experience to enter the museums late and see the masterpieces inside with a lot less people than normal. Long story short, fun tour, exceptional service, with pickup at our hotel and an amazing guide. Hi Gayle, I experienced the tour you are referring to, the Golf Cart Tour of the main Piazzas and Fountains! We were three nephews travelling with an elderly aunt and our grandma, who is on her 80. We had a great experience! When I booked the tour I thought the guide was the one to drive the Golf Cart, I felt so silly when I found out that a professional private driver was leading us instead! We had the chance to walk short distances - just the necessary to throw a coin at the Trevi Fountain, and our guide Stefania was simply GREAT! Grazie Stefania, grazie Eyes of Rome. The Angels and Demons Tour is definitely a MUST to me! Can't really miss it on my next trip.......my brother and I are coming soon to Rome. Our wives are not great fans instead. Do you recommend me to book this tour just for my brother and myself or do you think our wives will get entertained and enjoy the tour? Write us at info@eyesofrome.com for more information and don't forget: The Path of the ILLUMINATI is waiting for you to discover it guys! Hi guys this will be my third time in Rome, I am traveling from Sweden. I am mostly interested in Baroque Rome and it is my understanding that you are able to combine more than one tour in a day and focus on specific interests. I was thinking to mix the Footsteps of Caravaggio Tour with the Bernini themed walking tour, would it be possible to create a combined walking tour like this? How long would it be and is it doable on Sundays? I'll travel in May and I still have to plan the whole holiday schedule, so I wanted to ask for your advice first. Ciao Laura, it would be lovely to arrange such a customized tour: in more than 2000 years Rome has been the set for the most important art movements ever existed and Baroque is possibly the most spectacular! Actually, if you are such a a Baroque-lover, you’d not want to miss Francesco Borromini and his architectural genius, too. Borromini, Bernini and Caravaggio were three of the brightest stars of the Baroque ever happened in our World. The three of them were living in the same city at the same time and gave birth to the highest Baroque blooming in painting and sculpture. On your customized tour you’ll wander the beautiful squares of Rome, as well as Castel Sant’Angelo and its iconic bridge. The visit can continue with a stop in the Church of San Luigi dei Francesi, which houses beautiful works of art by Caravaggio, and end in one of the most beautiful squares in Rome: Piazza Navona with the splendid Fontana dei Quattro Fiumi by Bernini, right aside the imposing Church of Sant’Agnese by Borromini (just to mention a few). We suggest to allow this tour at least 5 or 6 hours, so it’s recommended to start in the morning. Such a tour does not require entrance tickets (you will be visiting mostly churches and squares), so it can be easily schedule any day. However, given that churches generally host celebrations on Sunday mornings, we’d suggest to go for the weekdays or Saturdays. Feel free to contact our help center at info@eyesofrome.com as soon as you have your calendar set and we’ll be happy to assist with your booking. Hello! I’d love to visit trastevere and the Jewish Ghetto. I am coming to rome with my mother who has problem in walking long distances. I was thinking to take your Heart of Rome tour on golf cart. Is this possible? Dear Eyes of Rome, I am thinking of adding your "In the footsteps of Saint Paul" Tour and I have read it has been recently closed as it has collapsed. What is exactly to be seen there? I am happy to confirm the Mamertine Prison has recently reopened after its past and sad collapse. We are able to restore the regular tour itinerary that was temporarily suspended. The Mamertine Prison, located in Rome at the foot of Capitoline Hill overlooking the ruins of the Roman forum, is a real hidden gem in Rome: jails and prisons were in fact not a common feature in ancient Rome. This little cell was actually a cistern for a spring but during its use as a jail, have described the cells as dank, torturous dungeons. It was mostly a narrow place where important state prisoners were lowered into, often prior to their execution. Famous prisoners here include the Goth Jugurtha, the indomitable Gaul Vercingetorix: some names Italian students have to study for years and years in Italian schools!! At some point the small jail was connected to the story of a Christian man being jailed by the Romans: according to early church tradition, either Saints Peter and Paul were incarcerated in the Mamertine jail by the Emperor Nero prior to their execution. You can clearly understand how important this site is and the very high impact it can have on visitors. Do not miss it, either when you are visiting Saint Paul’s sites or as an add-on to a Colosseum and Roman Forum Tour!